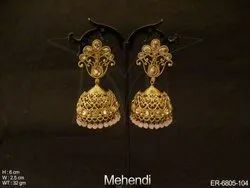 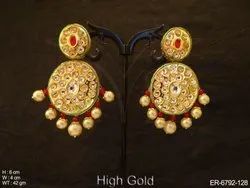 Our range of products include antique earrings, bali jhumki antique earrings, chokar antique earrings, designer polki earrings, fancy fusion earrings and fashion earrings. 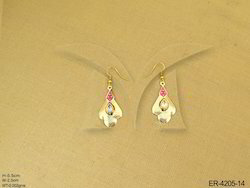 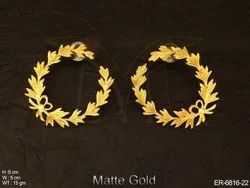 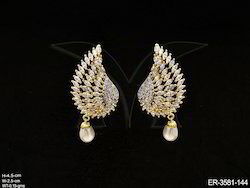 We are offering Antique Earrings to our clients. 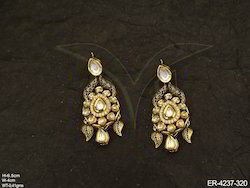 We are offering Bali Jhumki Antique Earrings to our clients. 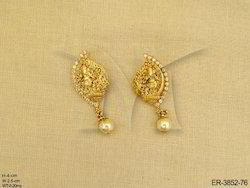 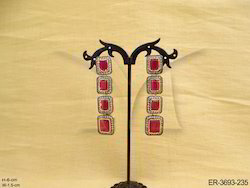 We are offering Chokar Antique Earrings to our clients. 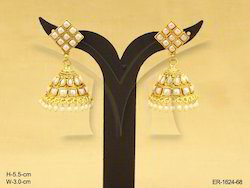 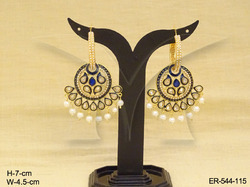 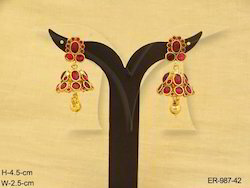 We are offering Designer Polki Earrings to our clients. 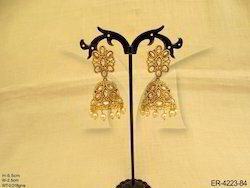 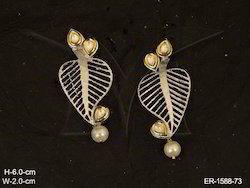 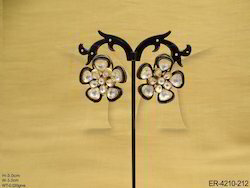 We are offering Fancy Fusion Earrings to our clients. 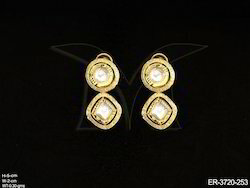 We are offering Fashion Earrings to our clients. 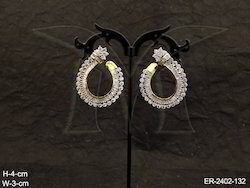 We are offering Fusion Earrings to our clients. 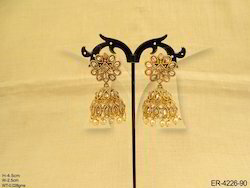 We are offering Kemp Earrings to our clients. 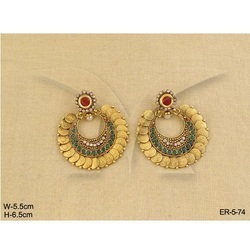 We are offering Kundan Earrings to our clients. 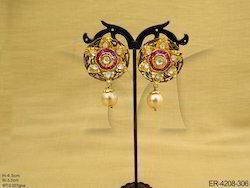 We are offering Ladies Fusion Earrings to our clients. 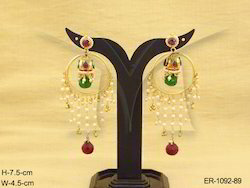 We are offering Polki Earrings to our clients. 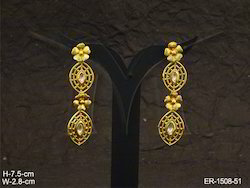 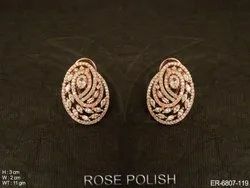 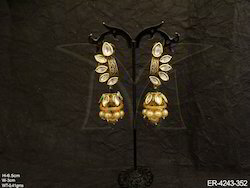 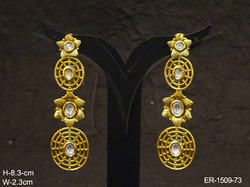 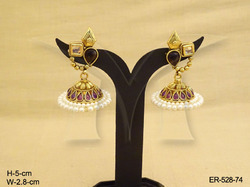 We are offering our buyer a traditional and elegant look Antique Designer Earrings. 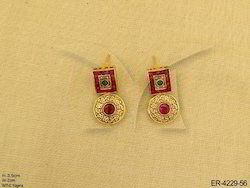 We are offering Laxmi Coin Earrings to our clients. 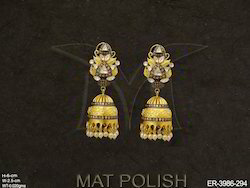 We are offering Bali Earrings to our clients. 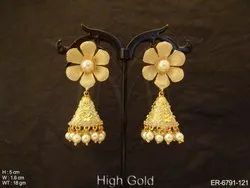 We are offering Flower Jhumka Earrings to our clients. 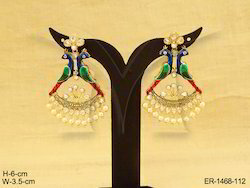 We are offering Moti Jhumka Earrings to our clients. 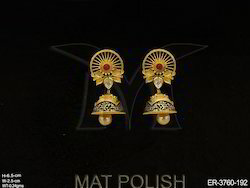 We are offering Leaf Designed Moti Drop Celebrity Polki Earrings to our clients. 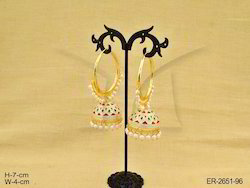 We are offering Moti Drop Bali Long Saree Polki Earrings to our clients. 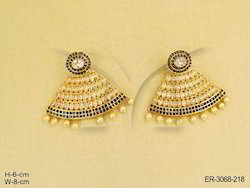 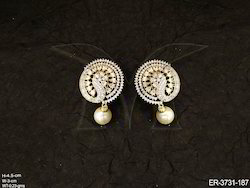 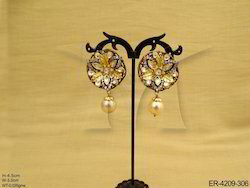 We are offering Duet Back To Back Peacock Polki Earring to our clients. 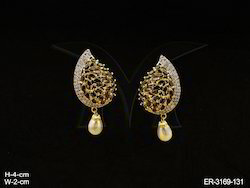 We are offering Spiral Leaf Flower Bridal Polki Earrings to our clients.